Scouring around for places to pick up paints and supplies I stumbled across likely the new Mecca for hobby supplies for me, Neighbor Hobby. It’s nestled away unassumingly in the lower floor of an office building. But despite it’s location, they have a pretty amazing stock of model kits of all sorts. There is a great selection of military models. Unfortunately for fans of Bolt Action, they carry only Tamiya 1/48 kits, but they seem to have a full selection from that line. As 1/72 and 1/76 scale kits go though, they have a great choice of tanks, soldiers, and terrain. With buildings I usually use 20 mm, even for 28mm stuff as it keeps a smaller footprint on the table and looks okay. I find true 28mm scale buildings just a little too big and even the smallest 2 story house seems to dwarf the rest of the table terrain. So having a lot of building model kits for sale was a pleasant surprise. Now for paints, brushes, and other supplies you are set. There is a great selection of paints from Testors, Tamiya, AK Interactive, MIG, as well as my go to for painting, Vallejo. It’s a wonderful amount of choices and stock for both brush and airbrush painters. 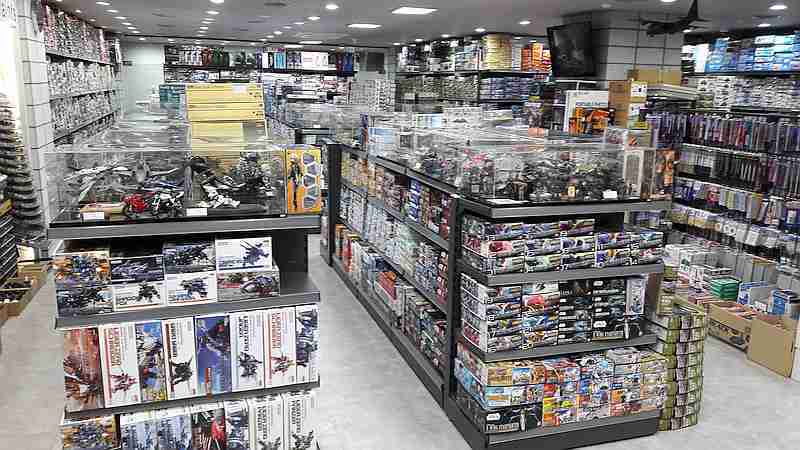 They also carry a complete selection of Testors and Tamiya sprays. Well worth checking out. To get there isn’t too difficult. 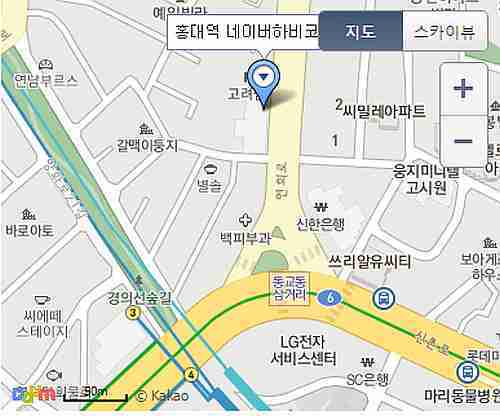 Take subway line 2 to Hongik University and get off exit number 3. You need to cross the street and footpath park and take a side street, then go right. Once you hit a main street go left and it will be in an office building. Blue pin near the top marks the location. The entrance is actually a bit odd. Going behind the building from the parking lot you enter on the first floor. You will follow a long hall towards the elevator, and can find the shop directly. However if you enter the front of the building you are actually on the 2nd floor and have to take the lift down to the 1st floor. All in all Neighbor Hobby is a fantastic place to pick up military models, paints, and modeling supplies. 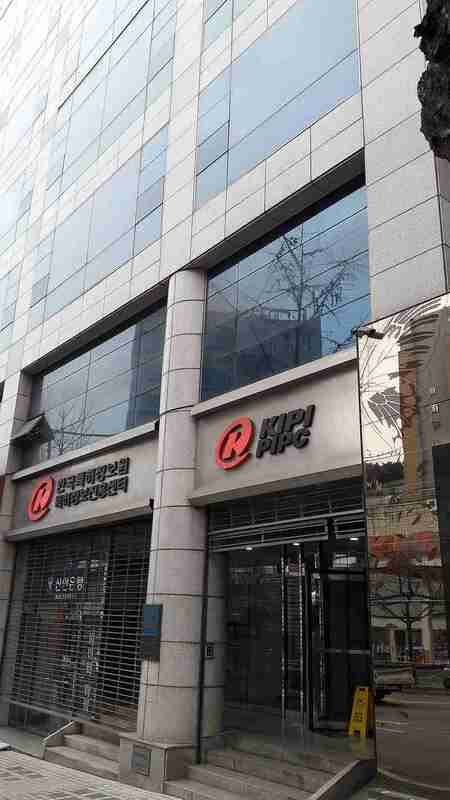 It certainly is one of the top places to get wargaming model supplies in the city. 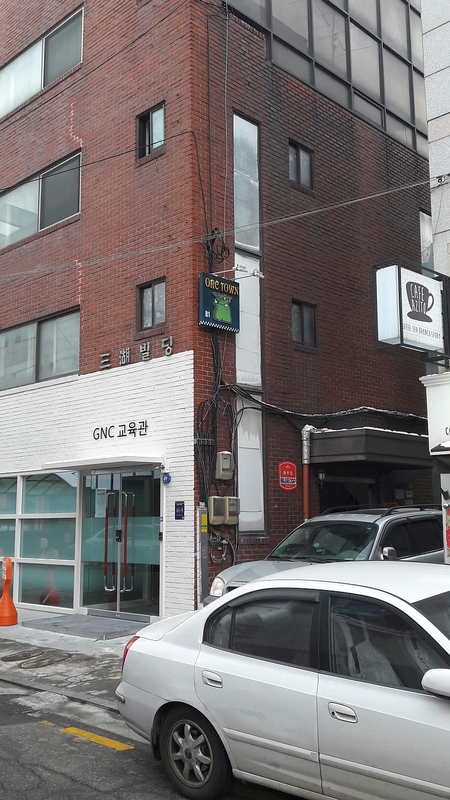 It’s also in the same neighborhood as Rolling Dice so a great stop to get a double scoop of geek supplies while in Seoul. 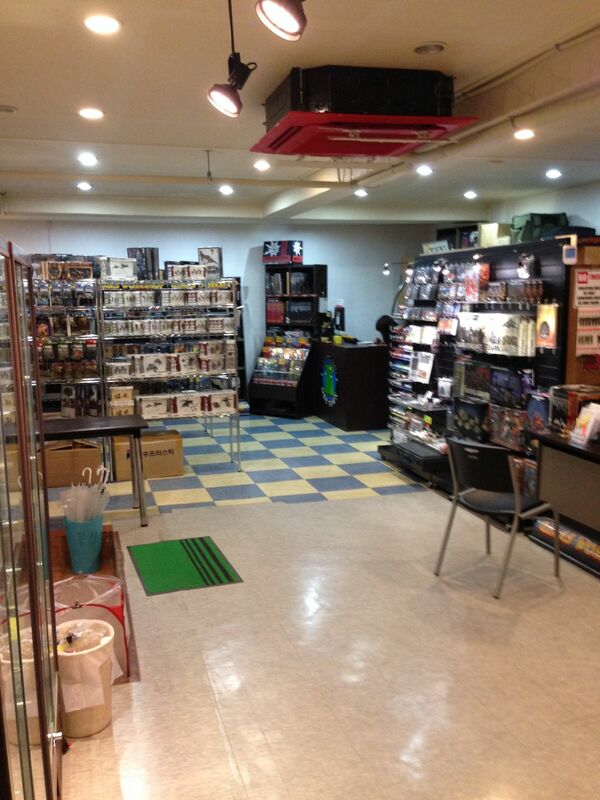 A while back I talked some about places where you can pick up different wargame supplies in Seoul. One place in particular was Orc Town. They recently packed up and moved to another location, so I thought I’d give them a visit and check out the new store. 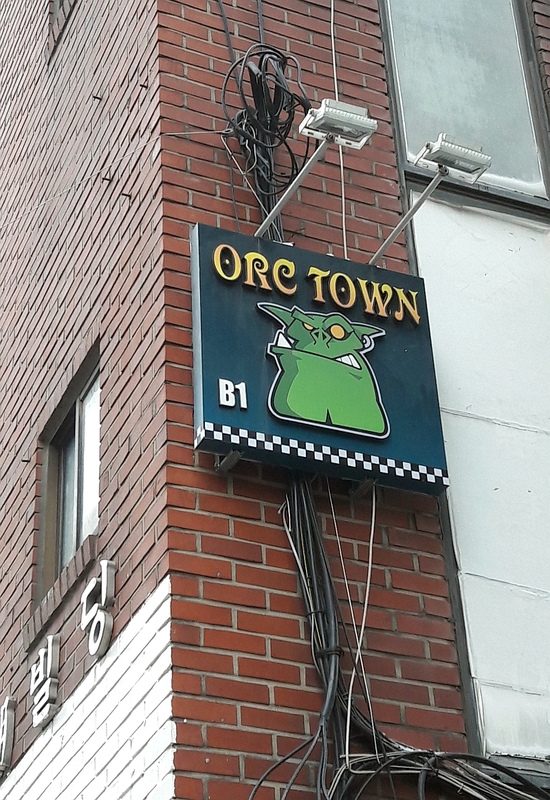 Orc Town is now in the southeastern part of Seoul in Dongok I-dong. 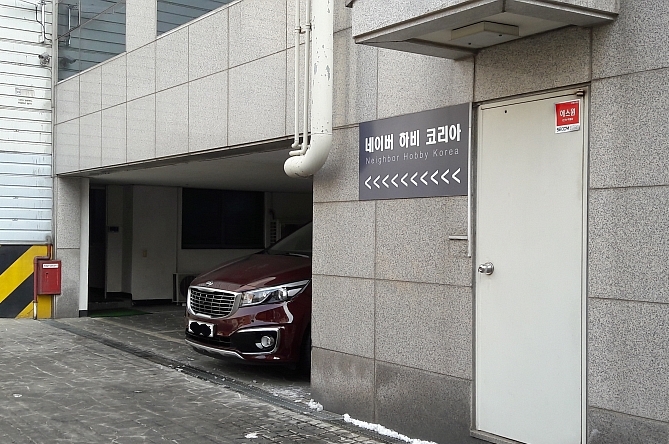 If you take subway line 3 and get off at the Maebong station, Exit 4, head south a few blocks alongside an apartment complex. Go past a main T intersection and one block west, you’ll eventually hit the store. It is now in the basement of a small business complex. Be sure to look for the small sign on the side of the building over the basement stairway. It’s certainly much bigger than the old shop. There is a small storage section where folks can leave their models in personal lockers for a fee. This is pretty nice for regulars as they don’t have to lug their models around to the store. The new place has more space to play, with a side room just for gaming holding several tables. From what I remember, the gaming section here has almost double the number of tables from the old place. They also have a few shelves with store terrain to allow players to dabble in some different scenery layouts. They seem to still carry similar products, including Infinity, Bolt Action, Firestorm Armada, a few Napoleonics and a smattering of other historical kits. 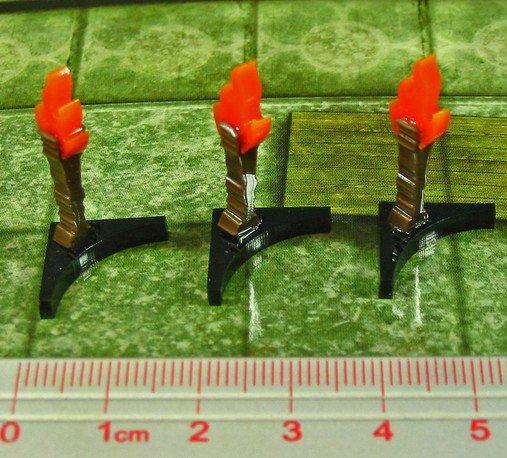 There are also some Flames of War miniatures and some alternate 15mm WW2 sets. However Orc Town is still very much a Games Workshop store. They carry lots of 40K stuff and a good number of Warhammer Fantasy minis. 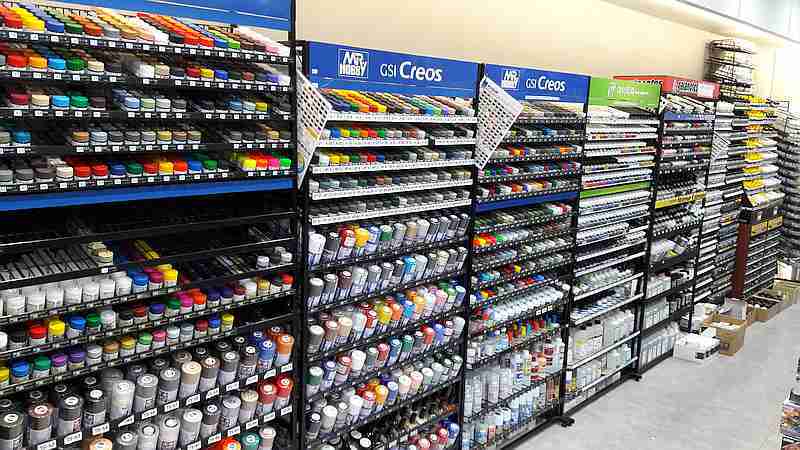 The store also has a full line of Citadel paints, spray primer, and other GW hobby modeling supplies. Sadly, I still think prices above retail particularly for non-GW products. No real clue how the prices for GW products fare but I noticed some of the Warlord games stuff being well over MSRP. I have no idea why. Maybe they can’t get distributors to send stuff over and have to go the route of resale (which likely includes having to pay extra custom fees on merchandise). They have an online store and I’m guessing with pre-orders, you could get more of a discount to bring it in line with other international distributors. For a handful of items, given that you’d have to pay international shipping charges, it seems ordering directly through Orc Town works out maybe a little cheaper. However I do wonder if making a large order, getting a big a discount from an online retailer, and just paying extra shipping might be more economical. Nonetheless, if you want to pick up a few models and paints Orc Town seems to fit the bill. If you are a GW fan, it’s the only place to shop. I’d also give it points for allowing space in their store for gaming. 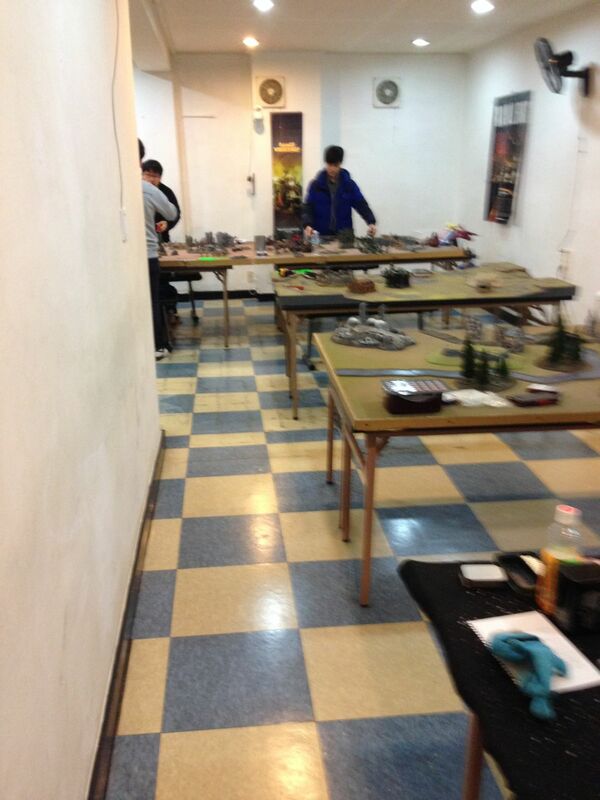 Certainly a great way to get some feelers out to meet up with other fellow wargamers. Ever on the quest to find some cool gaming mats I stumbled across Cigar Box Battle Mats and had to pick a few up. 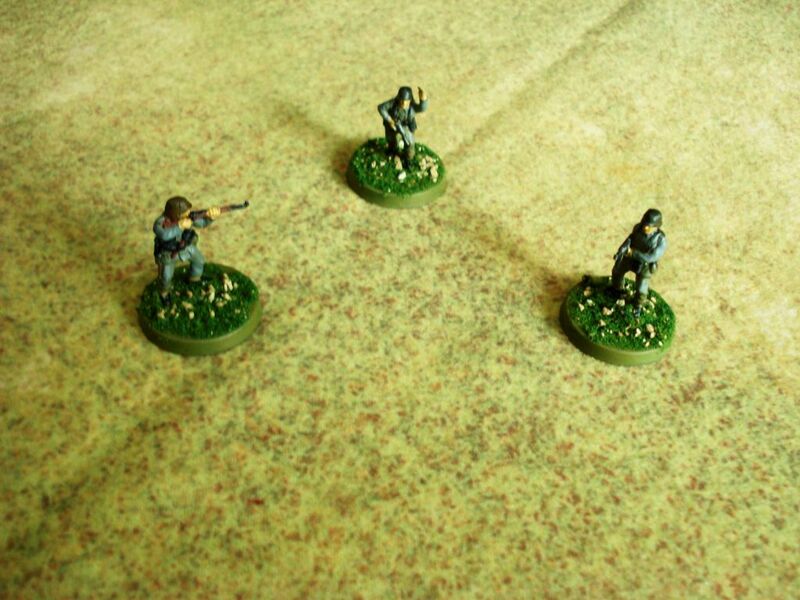 A while back I had gotten some Hotz mats for my Bolt Action and Firestorm Armada games. 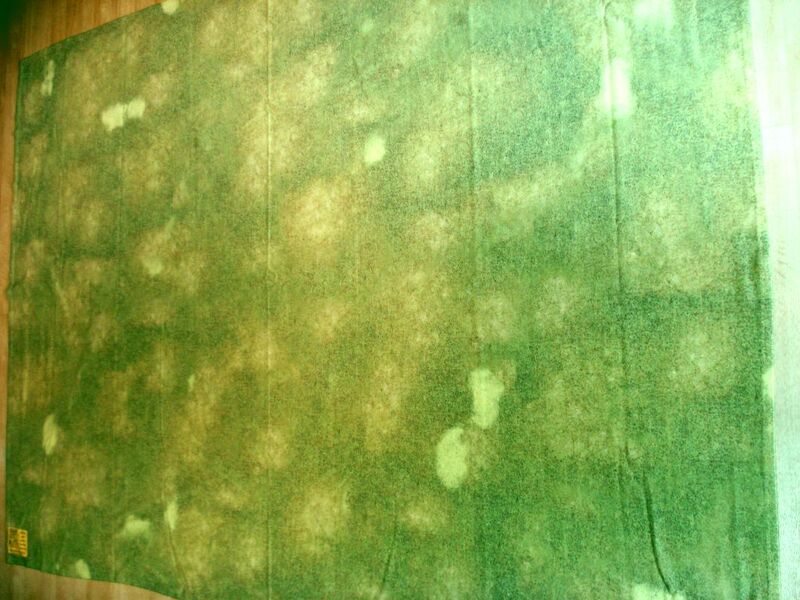 The star field mat was okay while the green mat was a little lackluster. 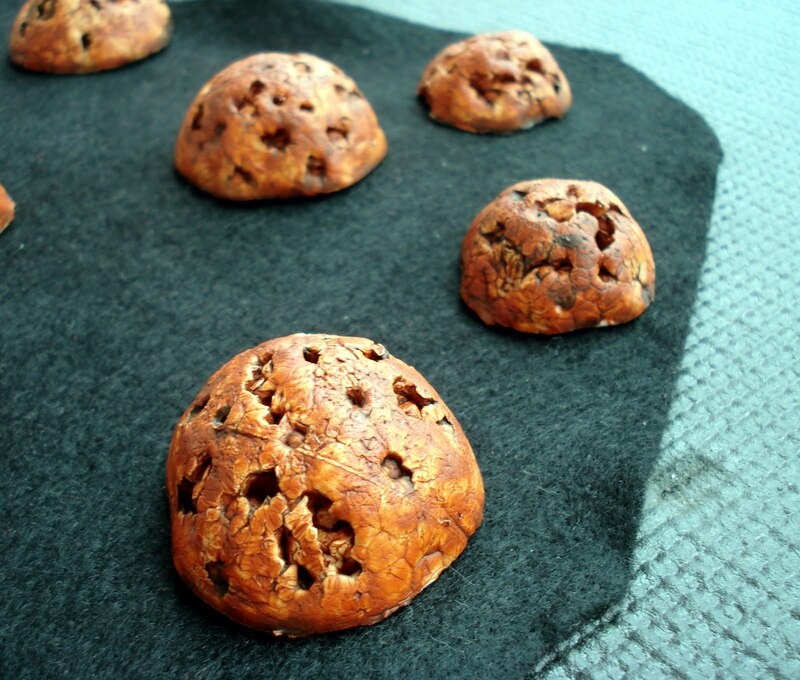 Further, they were treated felt. The surface looked like it could handle pilling but it was stiff and kept wrinkles if folded up. 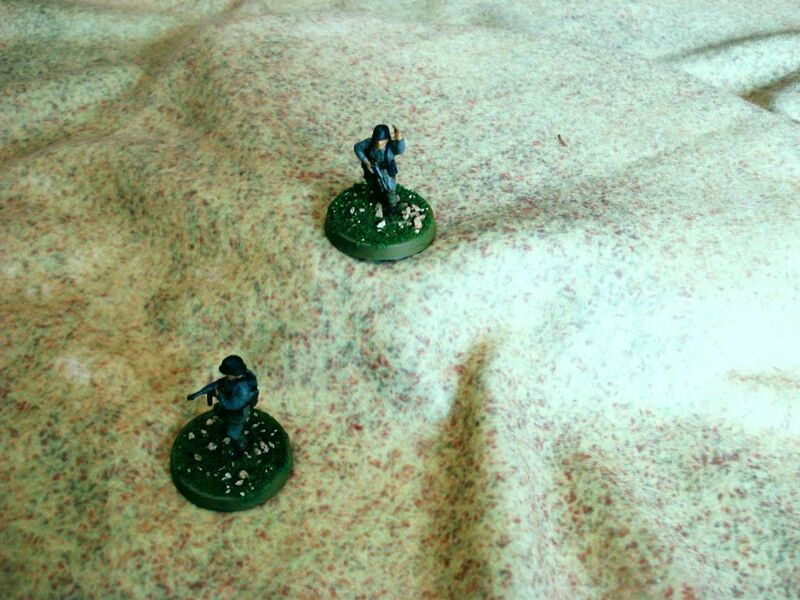 The battle mats from Cigar Box are made out of a thin fleece material. It’s very supple and has a sheen surface that will not snag on miniature bases. Most come in 4′ x 6′ with a few mats measuring 36″ x 36″. You can machine wash the mats and the surface appears to be screen printed making it look pretty resistant to your normal wear and tear. 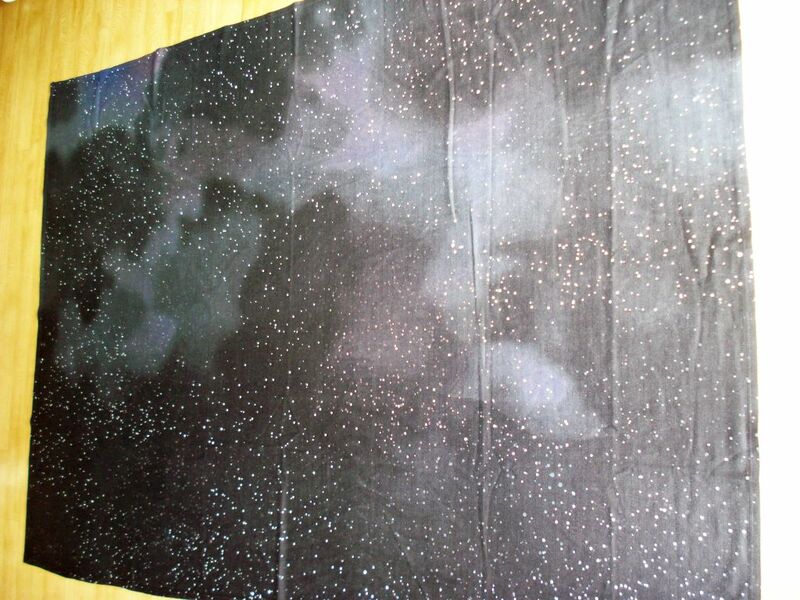 The star field mat is very muted, but has a nice generic look. All of which allows you to plop down whatever terrain you have and not look too out of place clashing with something printed on the mat itself. The generic grass field has a nice textured look to it. As the material is so yielding, you can put hills under the mat. This is something I found an issue with the Hotz mats as the treated felt was rather stiff. For a basic open field, the Cigar Box mat looks good with just a little contrast to break up the entire surface. Digging through the store, there are also more elaborate patterns which can highlight roads, fields, and forests. A few even are set up to portray classic civil war battles, but could work for different historical engagements too. There is a pretty impressive variety and fortunately some generic mats are also available. I think one ding to the mats would be that you’d have to double up if needing a 4′ X 8′ mat as the size options are limited. 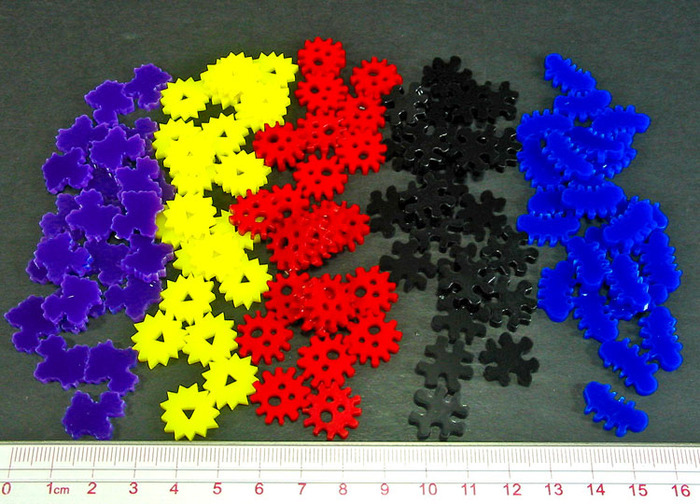 The mats are also ideal for free miniature movement as there are no hex or grid options. The service was quick and I got my order via international air mail about a week after it was shipped. They were also very quick to respond to any queries via email. I highly recommend these mats. 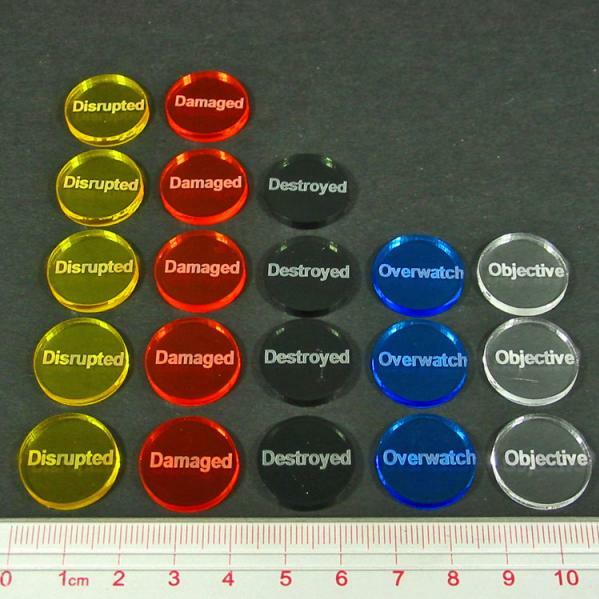 They are durable, provide a good gaming surface, and look great. Well worth picking them up for your games. Say you want a stocking stuffer for your significant nerdy other, or want to give a small gift to a gamer pal. 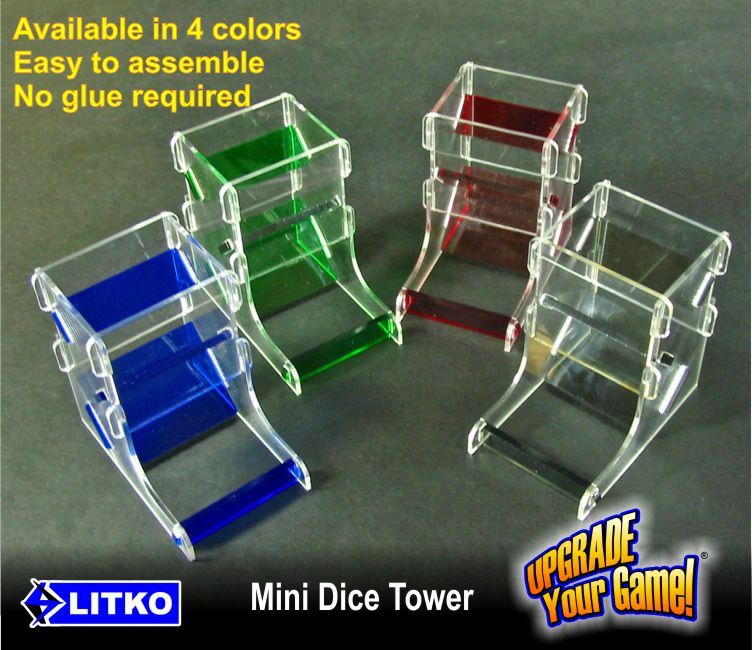 Litko makes quality plastic acrylic game tokens and other miscellaneous game items, offering a great gift for them. A long while back I made no bones about my preference using tokens and markers around the table. 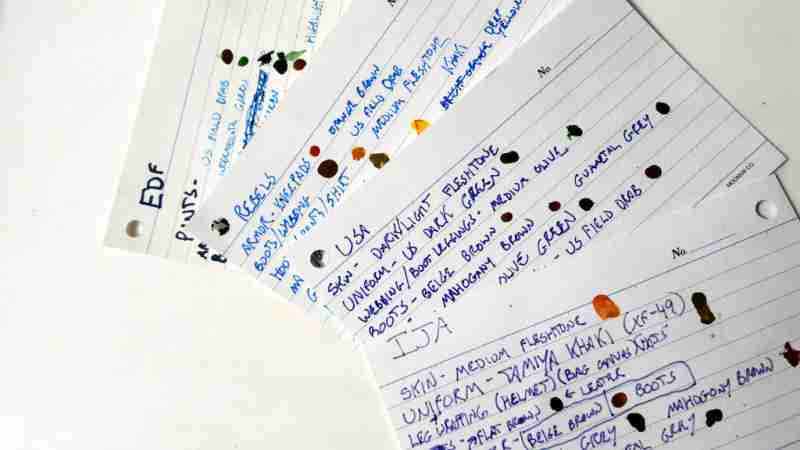 Having a tactile marker to represent a condition, bonus, or temporary status is great over just using pen and paper. So I’ve had a long affair of enjoying Litko products for years now. They’ve got wonderful stuff for just about any gamer you’d like to get a gift for. 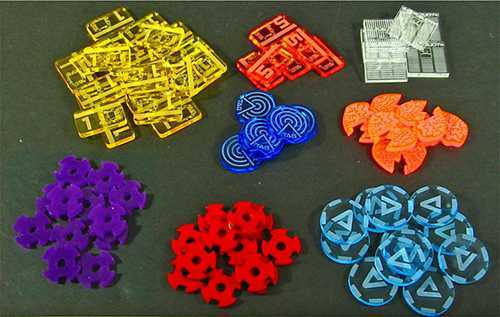 The wargamer – They offer tons of sets and individual packs for tokens. 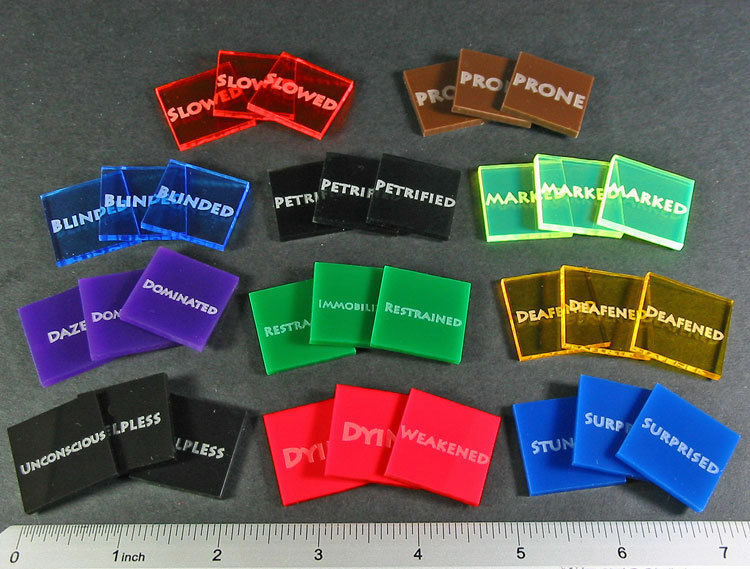 From command and casualty markers, to range band and blast templates, Litko offers some fantastic tokens and markers. 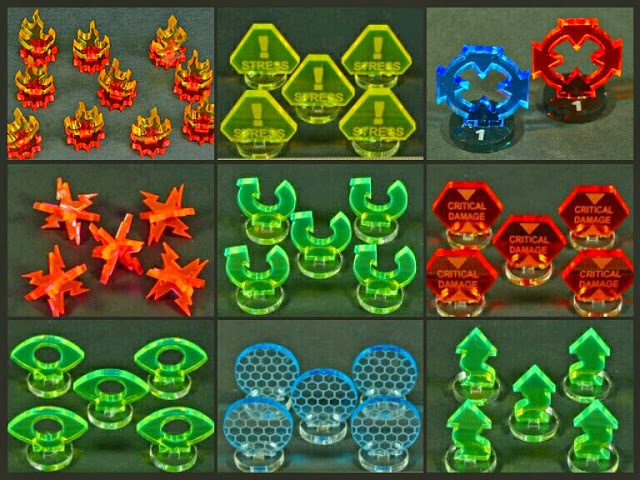 The RPG player – Litko also offers a lot of sets and tokens for RPG games also. 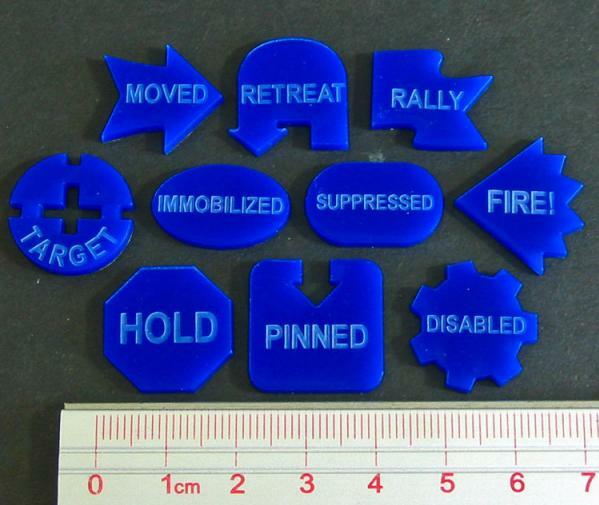 You can find lots of tokens to mark temporary conditions…. and complete sets are also available like this one for Savage Worlds. 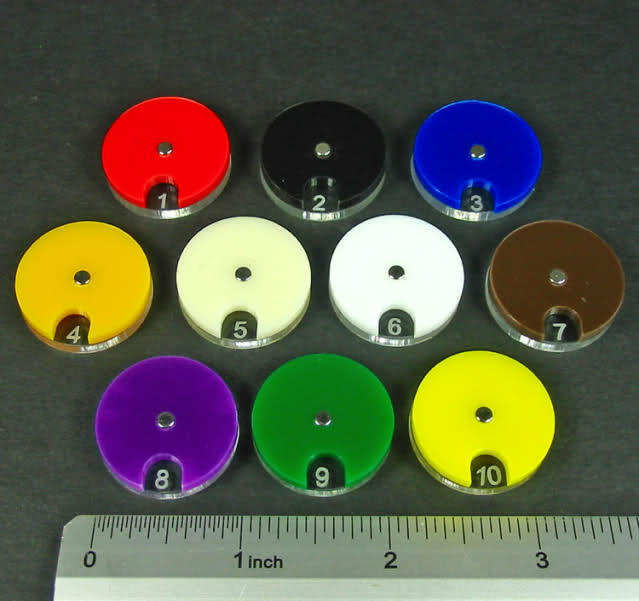 And other bits for gamers – Litko also makes a variety of bases for miniatures and other really clever items like counter dials…. and a variety of portable dice towers which can be taken apart and thrown in a zip lock bag. Perfect for those gaming tourneys. So I encourage folks to give them a look. 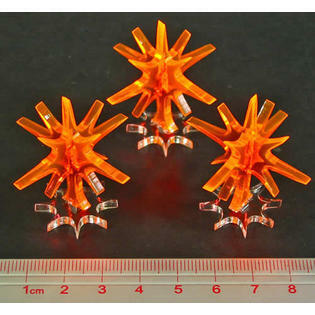 Several online retailers also carry their products. And if you aren’t sure about what they’d really like, well just give them a gift certificate instead. Hope folks enjoy the holidays with family and friends (and get some games in too). Some big news from Spartan Games is that they’ve opted to release all of their games as free downloadable pdfs. I completely understand why they did this. Likely they looked long and hard at the costs associated with printing, publishing, and warehousing hardback books and figured it just was better to go the digital route. I figure they are pushing more to sell their models as a revenue stream over selling rules. As a long time rule book buyer for Firestorm Armada I’m a little torn. On one hand I’m happy as this will certainly get more people playing the game. On the other hand I feel a little burned buying another book that is released later as a free pdf. This happened for version 1.5 and now with 2.0. I guess on the plus side, I can finally take a peek at Dystopian Wars and Planetside without having to pony up any cash. As the new pdfs are available, I revisited my QRS and updated it with better scans of the charts. 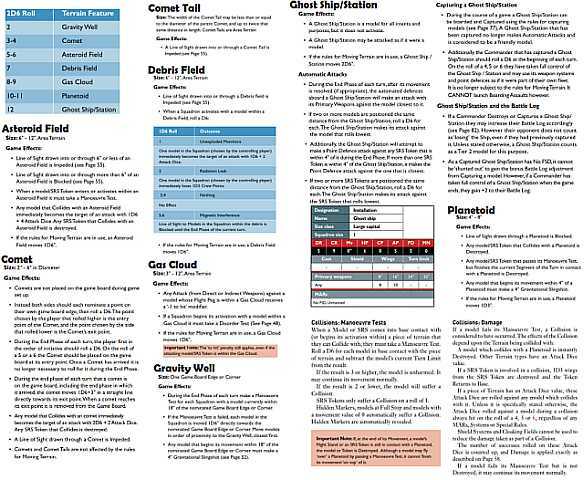 While I was at it I also made a simple terrain effect summary sheet to get all the terrain rules on a single sheet. I decided to also whip up the MARS rules onto a front and back cheat sheet. I still need to figure out how to tweak that sheet some as there is a ton of white space. Both are really bare bones and fugly, but at least you can get all those rules at your fingertips to pass around the game table. All of this stuff is also over in the downloads section. Enjoy! Since I was sorta on a terrain kick making asteroids for Firestorm Armada, I wanted to get a better gaming surface than a black cloth. 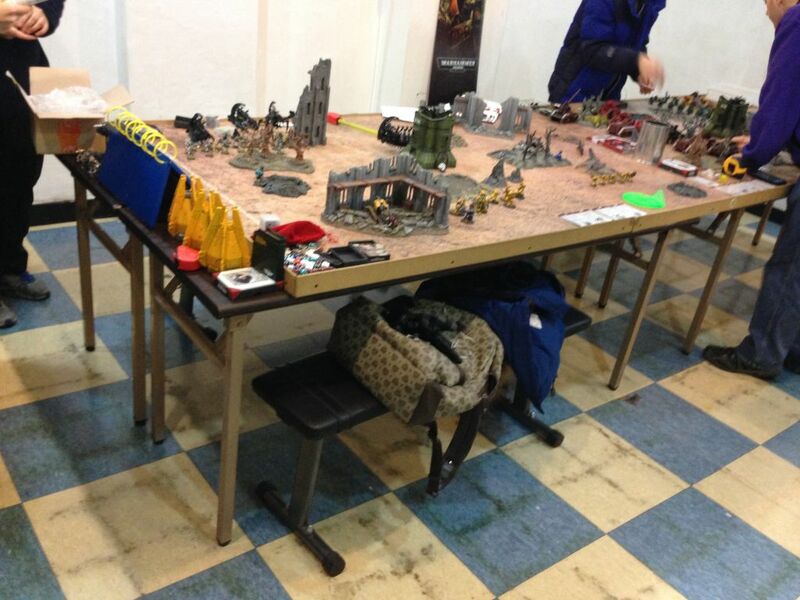 For a while I heard about Hotz Mats which make a variety of felt gaming mats that can serve for some really nice space tables. 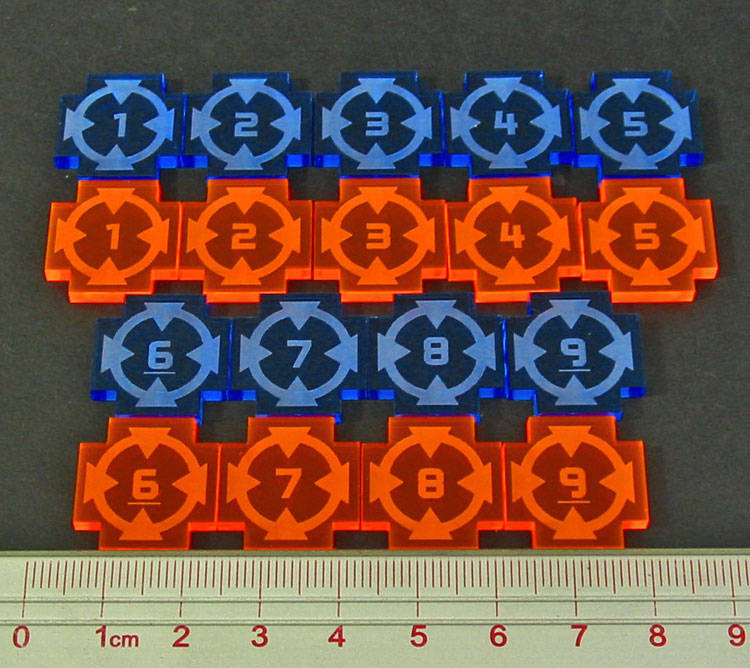 They are screen printed and have a variety of options with printed hexes or grids, or even mats that are double-sided with an option for one side being gridless. The mats come in a variety of dimensions with 4’ x 8’ being the largest. 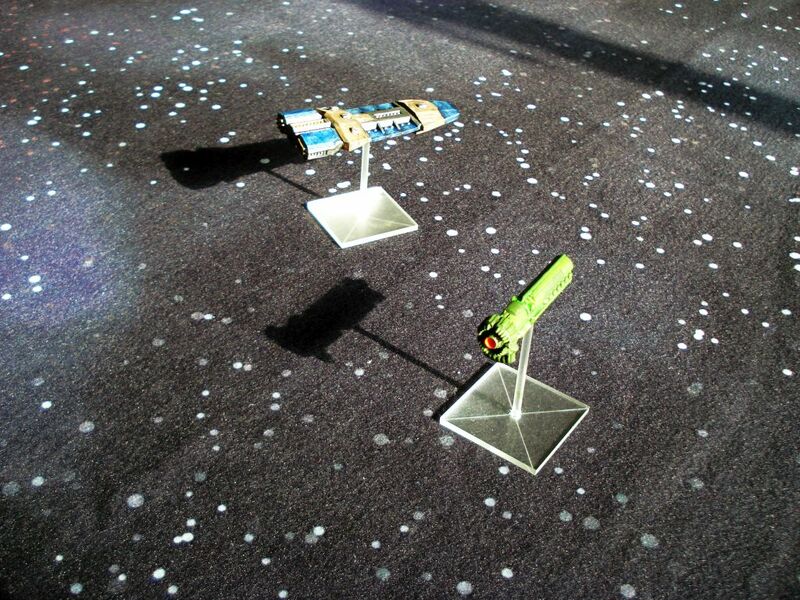 So I went ahead and ordered two mats at 45” x 72’ with one being an earth green mat for my WWII and SAGA stuff, and another deep space mat for my Firestorm Armada games. The mats are felt. However they are supposed to be treated with a fabric binder that reduces the wear and tear of the surface, lessening the pilling you typically see with felt. The mats are a decent thickness (if just a tad thin) and can get a bit creased. However really deep folds can be carefully ironed out. The surface of the painted side is somewhat stiff which I assume is the fabric binding material that is sprayed over the surface. This does keep models from snagging up as much compared to regular soft felt. I could push my ship model stands around without having them get caught up on the material. The deep space mat is pretty nice for a generic background. A little color is thrown in aside from the star background which is nice. 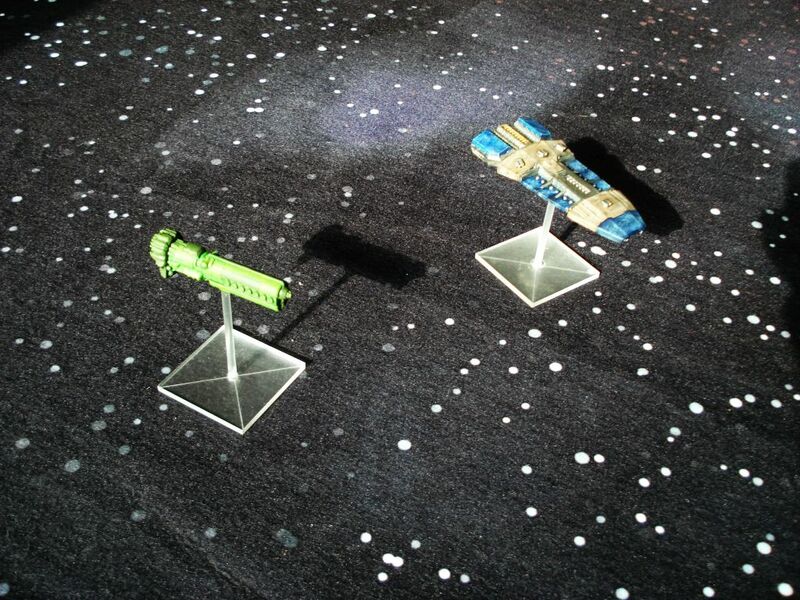 I think if I were to get another I might splurge for the enhanced deep space mat. I am a little disappointed with the earth green mat. I was hoping maybe a little extra paint to add some texture to it. 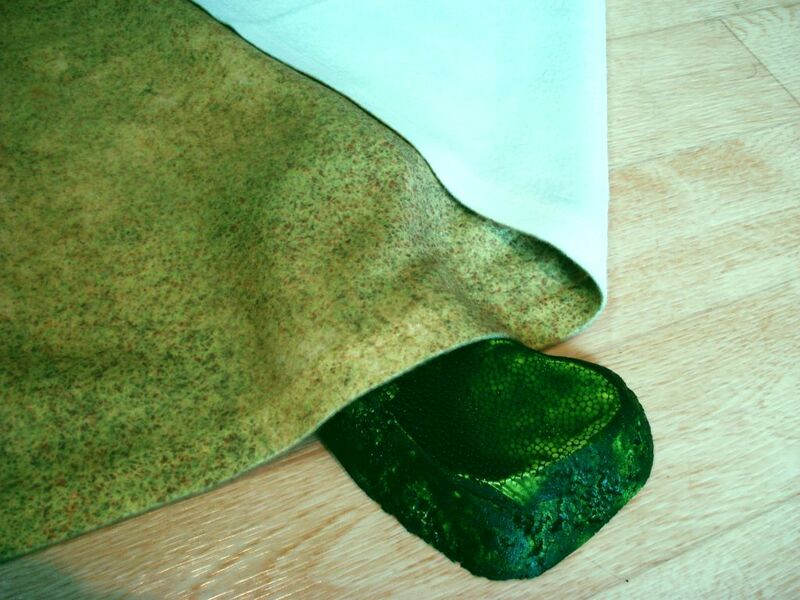 However it’s really just a bolt of green felt yet still has the fabric binder coated on it. This gives it a decent surface and likely a hex printed version would serve great. 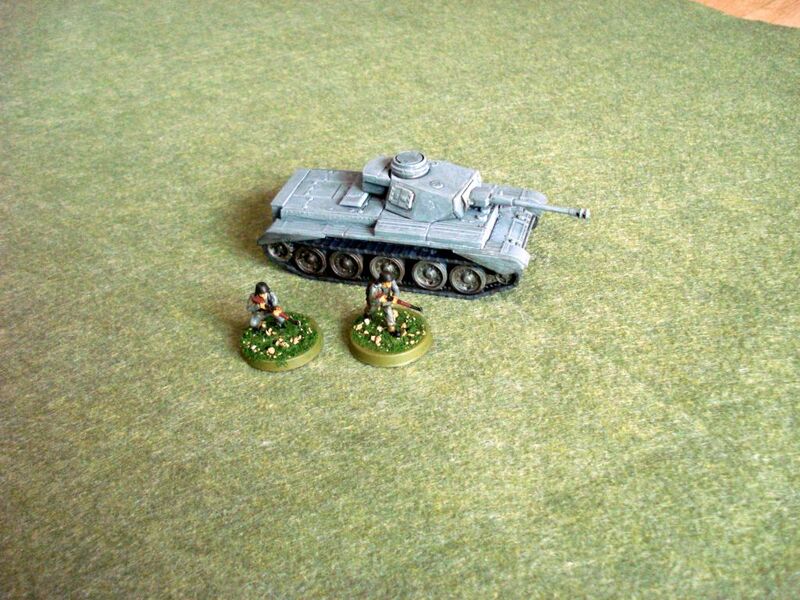 Overall the one I picked up is a plain, muted surface for wargaming. Now to go a bit on the customer service of Hotz Mats. Bluntly, I found it lacking. I do know they pretty much make the mats custom order. And I would put money on a lot of the mats being done in one go, and maybe needing some time to dry out in the open. Coming from Canada, this might mean delays due to poor weather (humidity) mucking up the production. It took my order an extra two months to arrive. Email responses from the company were also sporadic and I didn’t get any indication my order was shipped. So I will give a huge caveat for buying their mats directly. It’s going to be delayed. Don’t expect a prompt (or any) response to emails. I can understand production delays, but I’m a little less understanding with the lack of communication. Consider the 3-5 weeks deliver to only be valid if you live within the province. Now I understand they are moving to a new studio. This might alleviate some production delays. If you order from them, I think you need to take a zen-like approach and just accept that after several months you’ll get what you ordered in the mail. The game mats are decent, seem like they can take a little punishment, and can easily be stored away. However simply put Hotz mats aren’t worth getting as there are better gaming mats out there that are comparably priced. What really pushed it over into the no buy column for me is the abysmal customer service. Seems you’ll get your mats… eventually… when they decide to get them into production… and bother to ship it. 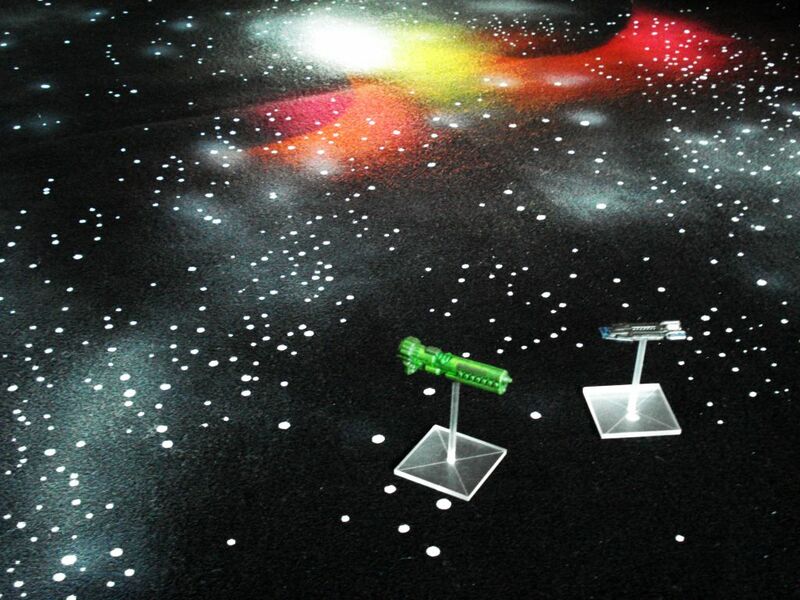 There are other options available for gaming mats which provide much better customer service. I can’t recommend buying Hotz gaming mats. Living in a Korean city I have an exceedingly hard time getting DIY materials. There just aren’t huge outlet stores like you see in the west (Lowes, Home Depot, etc.). So getting my hands on construction material is a bit of a chore. Also, living in a city means that landscaping material is pretty much impossible to get too. Folks live in apartments so there is literally no customer base here for that type of stuff, hence it’s difficult to pick up gardening supplies. 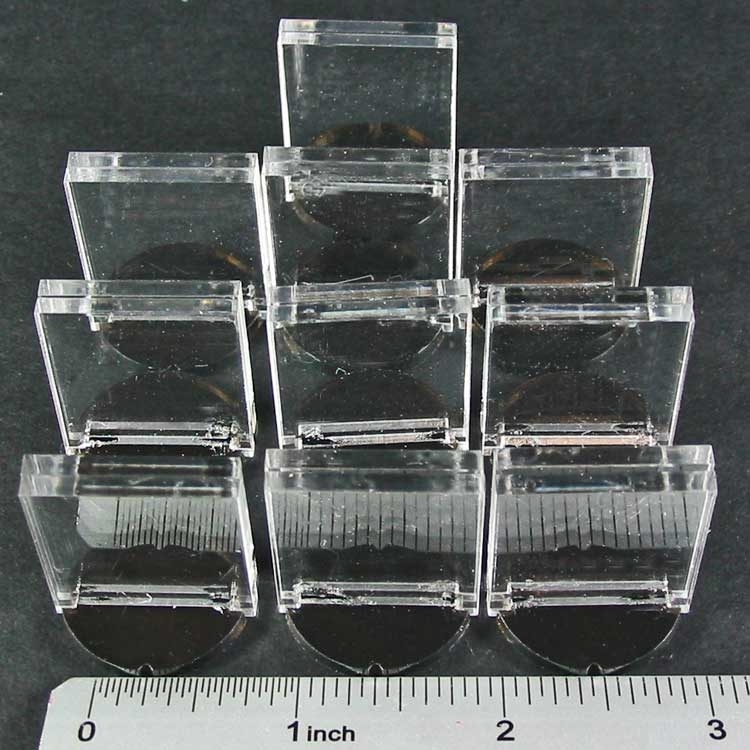 I think it would be exceedingly easy to pick up pumice rocks or wooden chips as landscaping material, give it a base coat, drybrush highlight, and get a set of great looking asteroid terrain pieces for Firestorm Armada. However I’m sort of stuck with not being able to get material like that easily (or cheaply). So I started looking for alternatives. Fortunately, I was able to find an art supply store that had nice supply of styrofoam balls of various sizes. With a bit of compressing and a paint brush handle, I was able to add a bit of texture to the balls once I cut them in half. 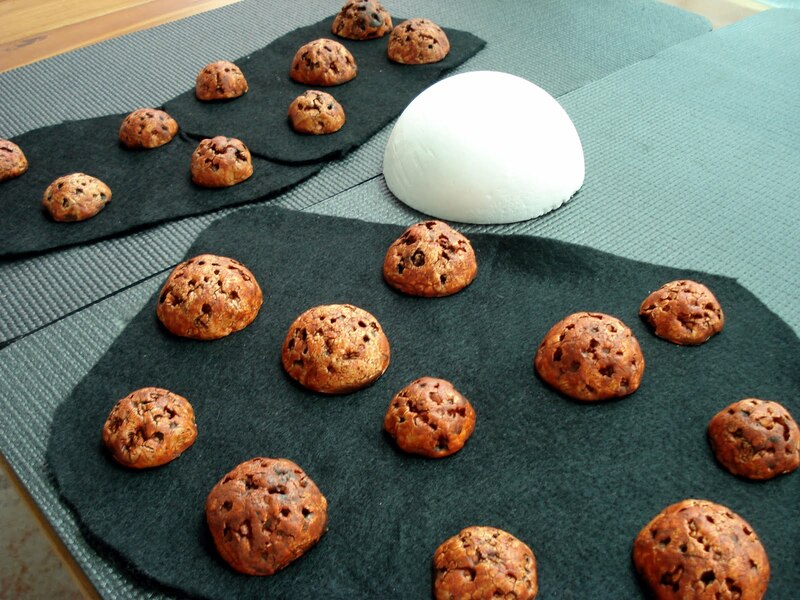 After quick base coat and wash, I have a nice supply of asteroids to put down on the table. I also picked up some larger balls that I’ll use for some planetoids. They are a somewhat smaller than the typical planet terrain listed in the FA rule book. You can see one of the larger styrofoam balls in the background for this image. I’ll likely give them a very simple paint job, and despite the smaller size I think they give a neat 3d look compared to a cutout template. One thing you’ll notice is that I have my asteroids on black felt. As with many of my war games, I am a huge fan of felt. I really like using them to mark roads, woods, fields, rough terrain, etc. I like having very clear boundaries and with FA it’s the same. I can easily layer the felt to create as big a field as needed and have a few smaller sections to make more odd shapes. What really works for this is that I can freely move the asteroid terrain bits around on a set base, allowing models to maneuver where they want, without worrying about altering the perimeter of the field. 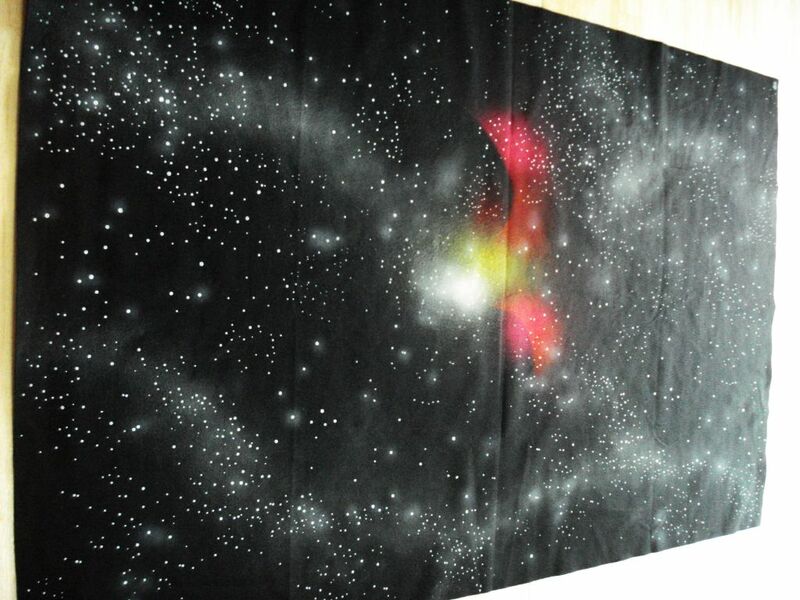 Still thinking of possibly adding a few dabs of paint to the felt to give it that star field look. I’m planning on picking up some other colors like a nice purple for nebulas. Now I’ve got some terrain completed, it’s been calling me to get some fleet battles going. 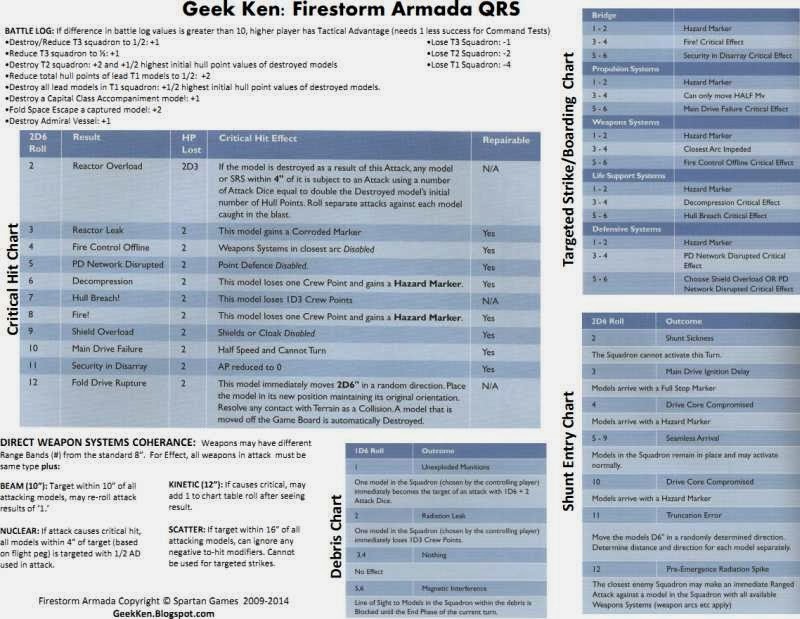 One nice thing about Firestorm Armada when it first released was the great quick reference sheets that were included in the rules. Sadly, when the hardback book rolled out there was no updated QRS. Now the second edition is out and no word if another reference sheet will be available. I’m not too keen with the charts in the back of the current book. There are a lot of small details throughout the rules and it’d be great to have a summary of the various table charts. It just seems the ones in the rules are sort of sparse. I really enjoy having a good summary section when I get one (cough…Bolt Action…cough) and it makes me wonder why more rules don’t have them in their books. I decided to whip up one myself. It’s not going to win any awards for layout but it’s functional and I tried to keep it on a single front and back sheet. Hopefully I made no glaring mistakes with the rules. The new book presents the rules pretty well but I’ve always liked having a reference sheet to jog my memory. Plus having some critical charts handy (especially the battle log points/penalties table) is ideal when I play. Hope people get some use out of the sheet here.